I fear I may be turning into a skipping audio file (kids these days don't say 'broken record' unless they're hipsters) but I find myself running out of ways to say how much I enjoy The Flash: Season Zero. The story this fortnight is a gripping one, as our heroes investigate a frightening possibility - that the explosion of the STAR Labs particle accelerator affected animals as well as humans. Worse, one of these so-called Meta-Animals - a humanoid shark - is on a feeding frenzy in Central City, seeking out the scientists who abused it. Could this be a hint as to how Gorilla Grodd might be brought into the TV show? 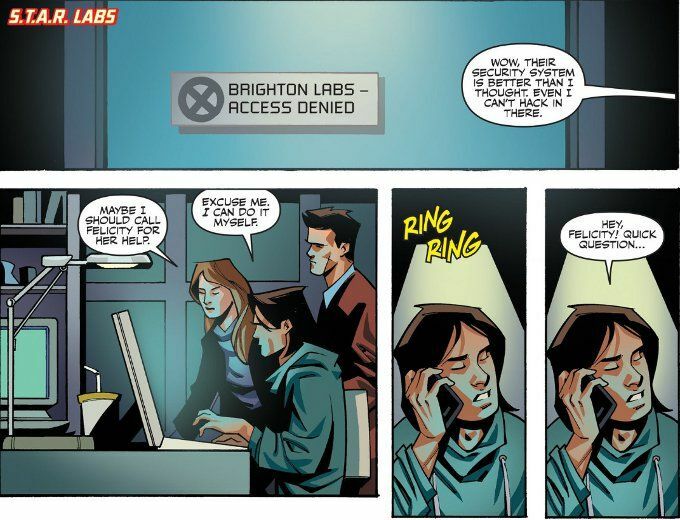 Probably, but this comic is a ripping yarn regardless of that question. Comedy continues to be the best thing this series has going for it. 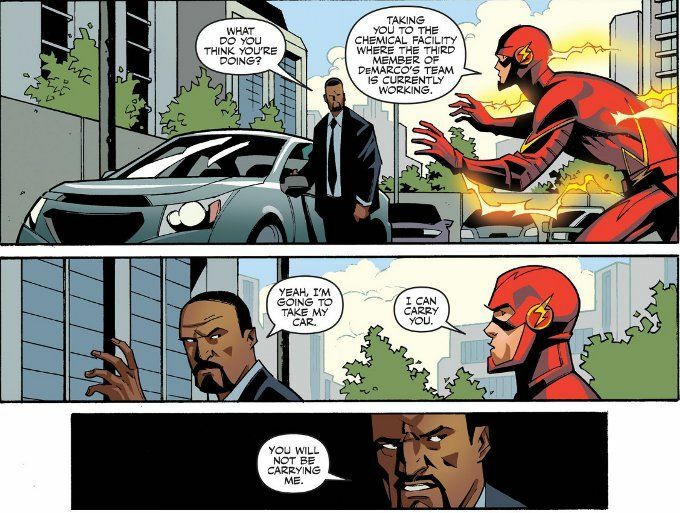 The humor of The Flash is intact and all of the characters are written true to form. You can hear the voices of the actors from the show speaking the dialogue by Kai Wu and Lauren Cetro in your head as you read the comic. The only real negative thing I have to say about the book involves the art. Understand that I love Phil Hester's work and have enjoyed it since his run on Green Arrow. 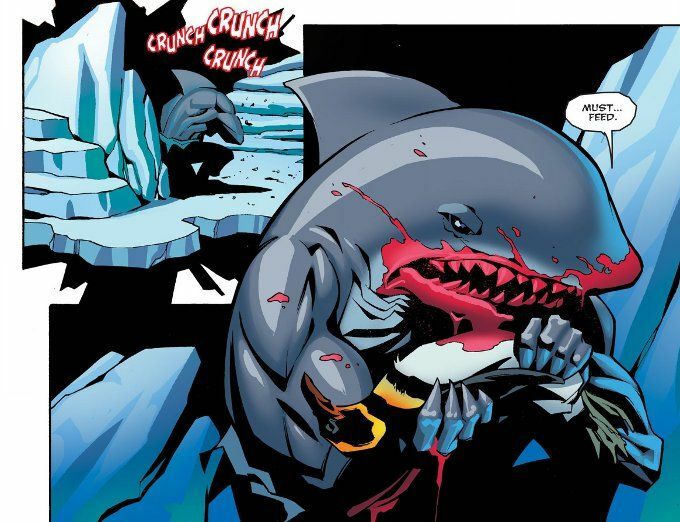 But for every awesome page like the one above featuring King Shark feeding, there are several pages where the human characters look blocky and stiff. Hester and Eric Gapstur are amazing when it comes to drawing monsters jumping out of the shadows. Humans on a sunny day? Not so much.